MNC 2014 is in the books! 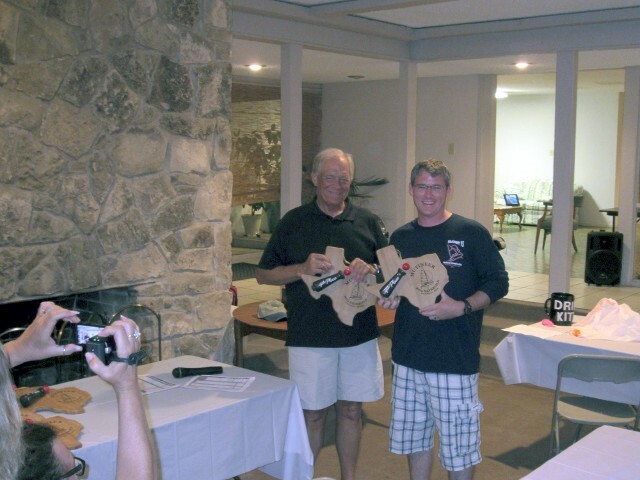 A Texas sized thank-you goes out to Greg Reed, Fleet 2 and the Grapevine Sailing Club for the best MNC yet. Scroll down for the results, pictures and more! Click here for a PDF with Gold and Silver Fleet final standings. Click here for a PDF with results of each race. 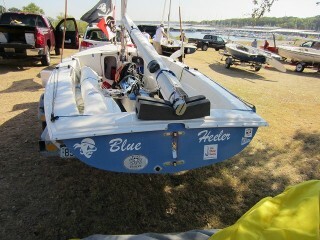 Some of the boats that came to compete. Happy to be at MNC 2014! Excellent crew polishing the hull and is HAPPY to be doing it! 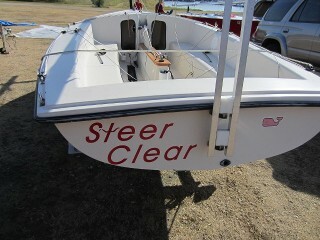 Our class officer responsible for the renaming of boats. Renaming ceremony - a very serious matter. 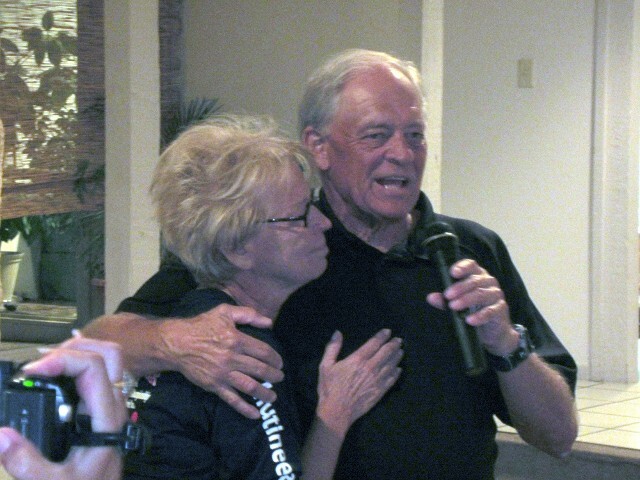 Don and Linda Miller of the Tampa Sailing Squadron. Don and Linda came to Grapevine to see first hand how to organize and execute a fantastic Mutineer National Championship. TSS is hosting MNC 2015 at Apollo Beach, Florida. Beside every good man stands a GREAT woman. Our hosts Greg and Joan Reed. The 2014 MNC was one of the finest championship regattas the Class has had since its resurrection 12 years ago. Greg and his Fleet 2 helpers had every aspect of the planning fine-tuned and ready to go before the first trailers pulled into the marina. 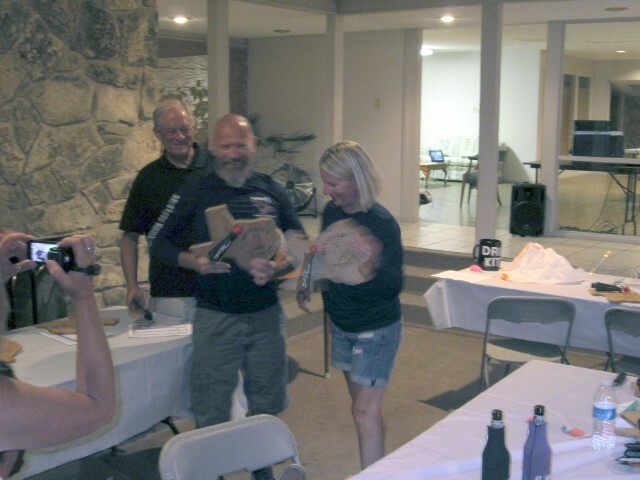 A gaggle of sponsors contributed many "prizes" to be won by the competitors. 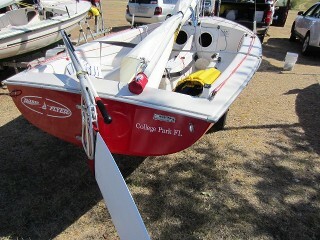 Finding sponsors is usually hard work, and I suspect it was no different this regatta. Ty did a great job making all the trophies. 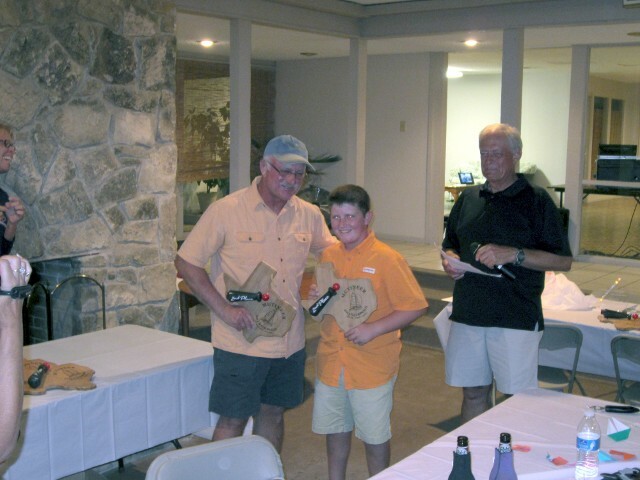 Volunteers worked long hours organizing and serving lunches, the Cheeseburger dinner, and the awards banquet. Special thanks goes to Rey and Debbie Garza for providing the BBQ dinner for the awards banquet. Waking at 3 a.m. to start the fires for the smokers was just the beginning of a 12 hour slow-cook marathon that resulted in the mouth-watering brisket and pork that was heaped high on our plates. Maybe the biggest thanks goes to the wind gods. 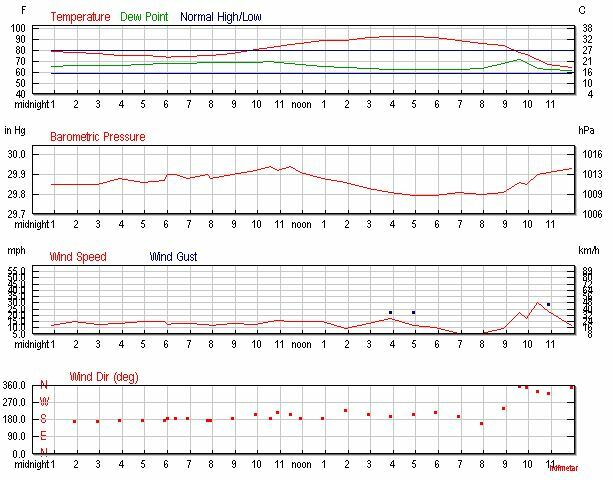 Over three days the winds ranged from 10-20 mph with gusts approaching 25 mph on occasion. This led to exciting, if exhausting, racing. Sixteen boats competed, equally divided between the gold and silver divisions. Mike Lipari, our PRO, and the rest of the race committee did an outstanding job, getting in 16 races in two and one-half days. Mike juggled Windward/Leeward and Triangle courses nicely. 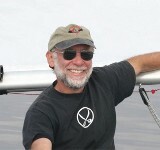 In the higher winds the Triangle courses allowed for lots of planing, especially under spinnakers. As Gib mentioned, the quality of the boats and the skills of the teams competing at MNC have made dramatic improvements in the last 5-6 years. 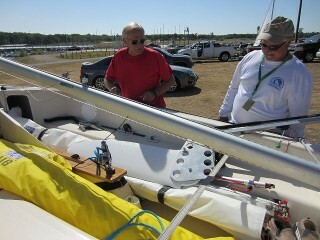 There were relatively few boat breakdowns considering the hard racing and moderate to high wind speeds. Of the dozen or so capsizes only 2-3 could not be self-righted and required assistance. Many of the capsizes were due to teams pushing their boats and sailing skills to the limit, something that was sometimes missing in past MNC's but is a great indicator of the Class's progress. Start planning now for MNC 2015 in Tampa next October. But first, consider a trip to Key Largo in January for the Dead Dogs and Tin Whistles Regatta at the Upper Keys Sailing Club. 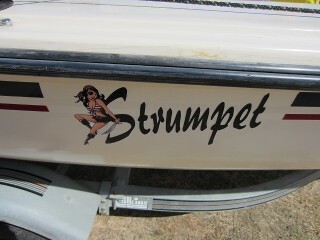 While the Mutineer boat fleet has improved significantly, there still is work to be done. 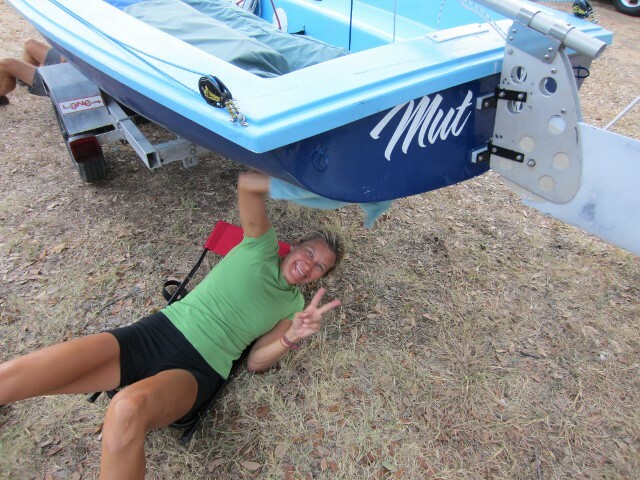 I'll be writing an article soon on boat breakdowns at MNC 2014 and things to do to upgrade your boat to prevent breakdowns and reduce the risk of turtling after a capsize. I'd appreciate if skippers who experienced a breakdown at MNC 2014 would send me an email explaining what broke and how it broke. My email address is bobboat@verizon.net. Thanks. Update for Tuesday Oct 6, 2014. We had 3 practice races today. One was a triangle, followed by couple windward/leeward courses. That gave us a great chance to iron out the wrinkles, or break some gear. I have mixed feelings about running the spinnaker on the triangle course. It's different than what we normally run and presents its own unique challenges. The official skipper’s meeting was held Big Daddy’s, the marina outdoor restaurant. 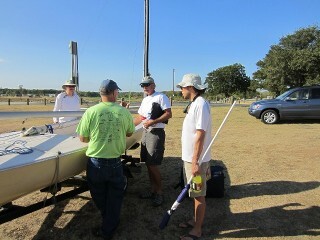 Michael Lipari, the PRO and did a great job in going over the changes to the sailing instructions. He has a ton of experience and I'm looking forward to some well run and fun races. 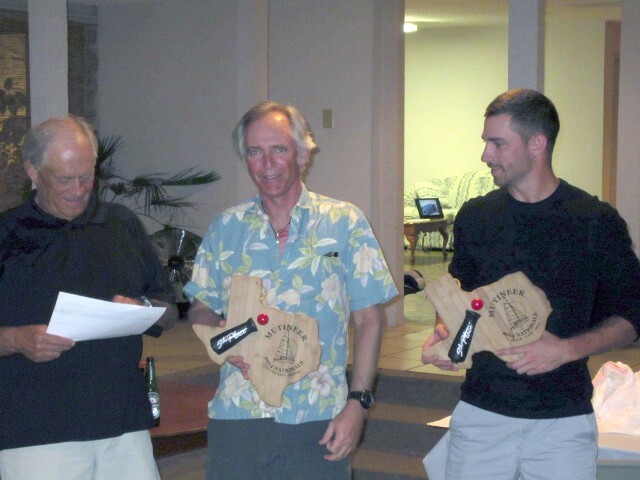 The raffle of the Mariner Sails jib and main was won by Taylon Starr. Dinner and refreshments followed the skippers meeting. Many in the group went to Big Daddy's to watch the sun go down and the full moon work its way into the sky. Real racing starts tomorrow, Wednesday. 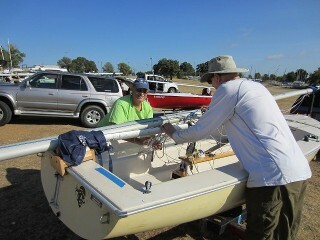 There is always room for volunteers to help on the committee and chase boats. Be on the dock by 8:30, racing starts at 10. 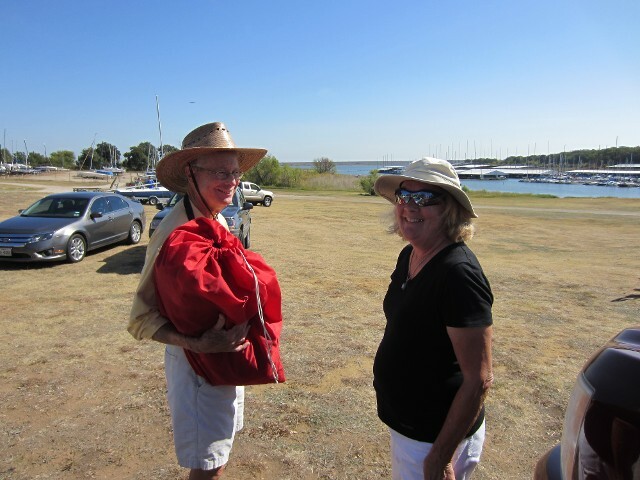 Race Day 1 Oct 8, 2014, Results are at the RegattaTech link below. Combined scores are at the top but those don't really count. The silver and gold classes are listed after that. 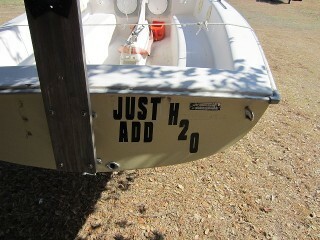 Those are the important ones since we have two classes racing in our fleet. The points in the brackets are the 'drop' scores. Racing was good. The winds are shifty and gusty, making for lots of lead changes and 'incidents'. 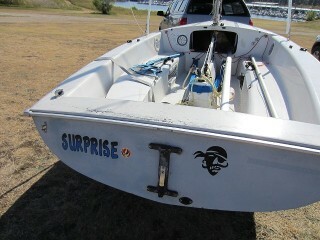 One boat capsize, turtle and fill up with water. It didn't sink but had to be towed back to shore. There were two collisions that I know of. One just cost time but the other did some damage. After racing we had the traditional "Cheeseburgers in Paradise" cookout at the swamp. There were lots of refreshments and tall tales told. The party was still going on even after dark. 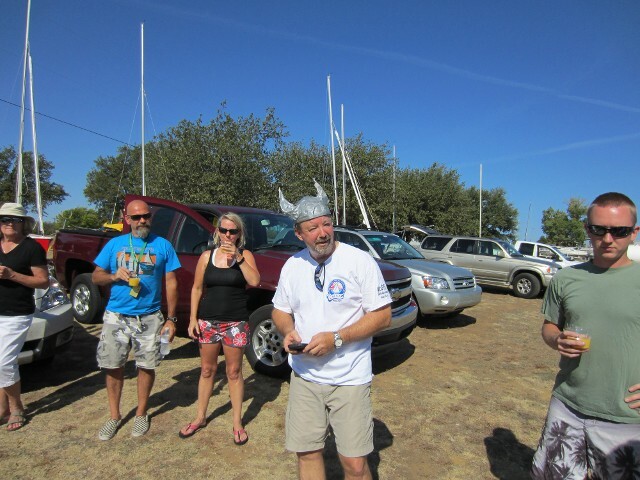 Race Day 2 Oct 9, 2014, Results are at the RegattaTech link below. I didn't get much sleep. My mind was racing all night over today’s racing. . Not too sore but muscles are a little stiff. Finishing coffee, eggs, bacon, and we're off to the lake. Looking thru the scores, we know who we have to beat to try to get 3rd. First and 2nd are pretty far ahead of us and unless they break or have issues (like we did) are out of reach. Had a great day racing on Day 2 of the Mutineer Nationals. 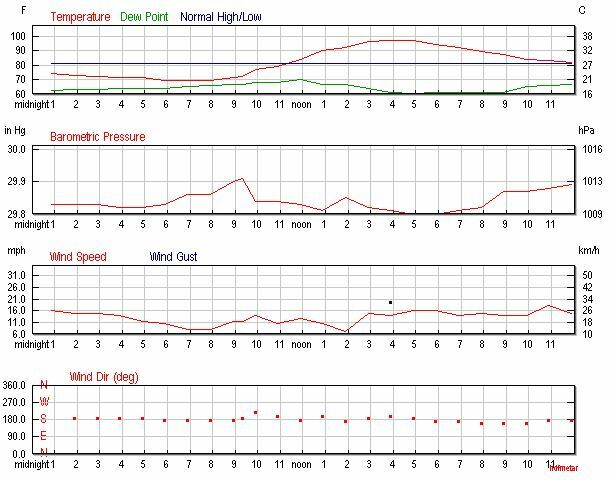 Winds were extremely gusty with huge shifts. 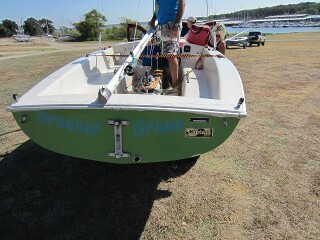 We had the usual problems with the spinnaker hour glassing in the first race. We had a good morning with a 5th and a couple of 3rd place finishes while our nearest competitors had problems. 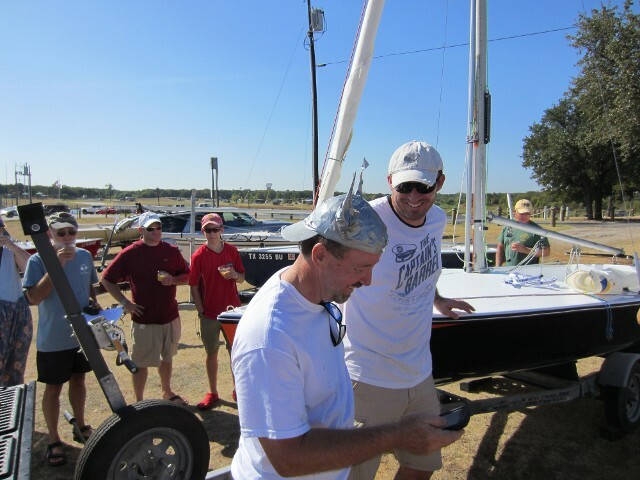 That moved us from 5th to 3rd place total in the gold fleet. We decided to play it safe to maintain the lead. 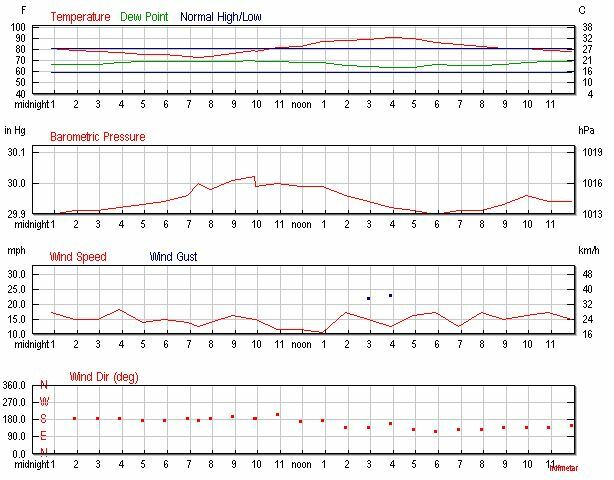 We didn't use the spinnaker anymore that day due to the gusts. We ran wing on wing or broad reaches on the triangles. We had six races total and followed up with a 5th, 4th, and another 4th and managed to extend our lead even further. 1st and 2nd is pretty much locked up and way out of our reach (16 pts). Colleen has really picked things up as crew. We figured out routines and are really gelling as a team. We know what works for us and what we need more practice on. No major changes in 1st or 2nd in gold fleet. Gib Charles and Mike Ruwitch (9pts) have a 10 point lead over Ty Mcaden and Taylon Starr (19pts). 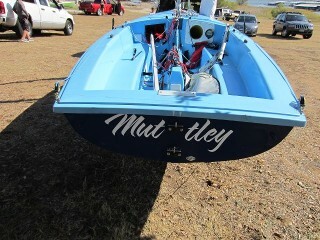 That'll be a long shot for Team Muttley with only one day of racing remaining. 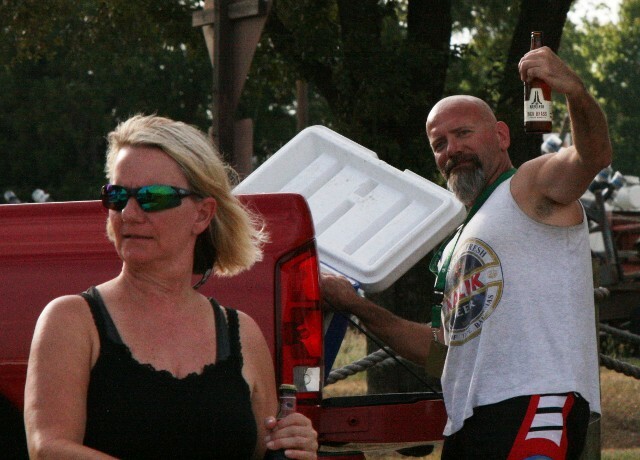 Uwe and Colleen Hale (36pts) are looking steady in 3rd. Fourth thru 7th are in a close battle with only a 3 point spread, 42.5-45.5. Silver fleet is led by Mutineer 15 rookies Michael Glanton and Nathan Neighbors(10pts) with a string of bullets giving them a 5 point lead over veteran Randy Polson and his son Daniel Polson(15pts). 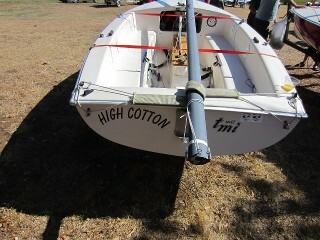 Team High Cotton finished with a couple of bullets at the end of day 2 and may be on a hot streak coming into the last day of racing. Ken Knecht and John Fraser are sitting on 3rd. Fourth through 7th is following the gold fleet's tight midpack racing with a 5 point spread, 39-44. 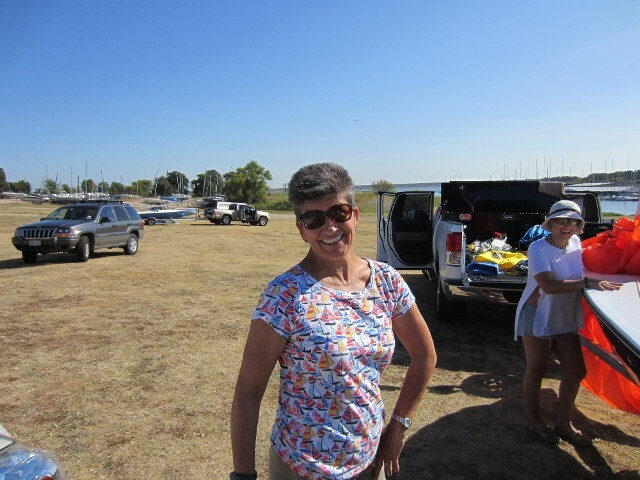 Race Day 3 Oct 10,2014, Results are at the RegattaTech link below. ...and the large boned lady has sung. 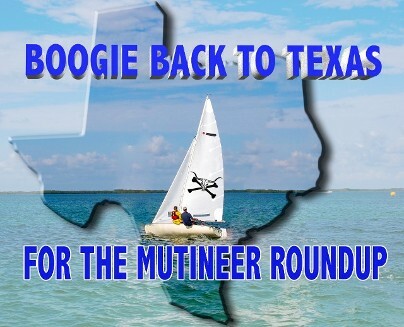 The 2014 Mutineer 15 Nationals are in the bag. Sixteen races over 3 days. First, 2nd and 3rd in gold fleet remained the same as yesterday. 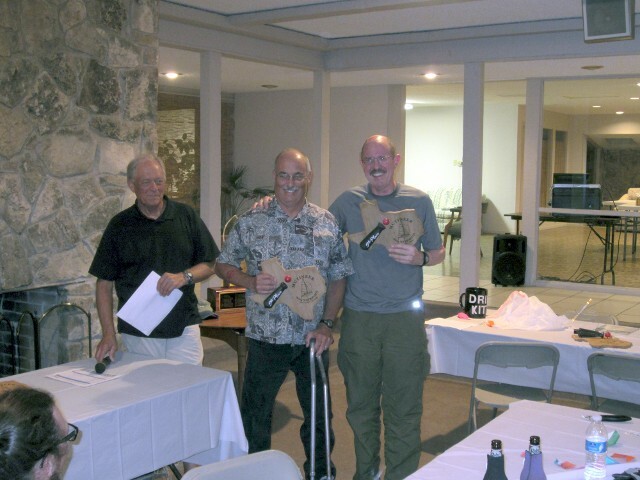 Gib Charles and Mike Ruwitch extended their lead and finished 1st with 15 points. 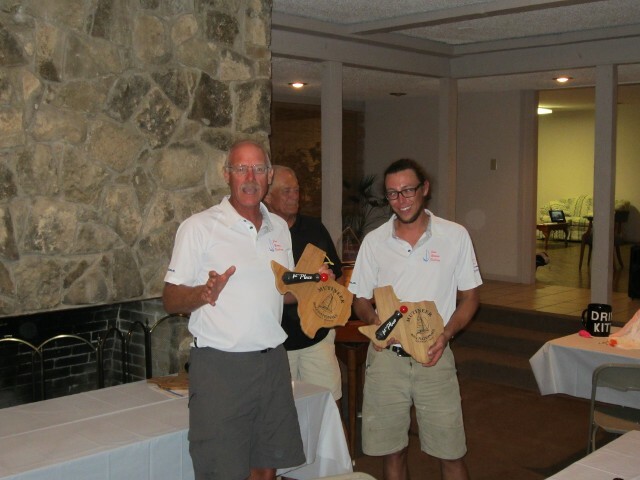 Ty Mcaden and Taylon Starr raced to an impressive second place (29 pts) on a boat they only got about a month ago. 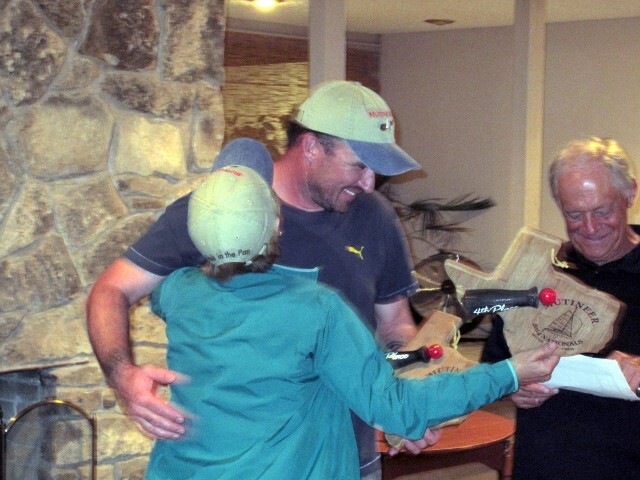 Uwe and Colleen Hale hung on to their 3rd place with 55 points running a conservative race in challenging conditions. Greg Reed and Tommy Byres (66 pts) managed a runaway 1st place on the last day which was good enough for them to pass Peter Way and Paul Culnan(67.5 pts) for a 4th place finish in gold fleet by 1.5 points. That's some very close racing after 3 days and 16 races. 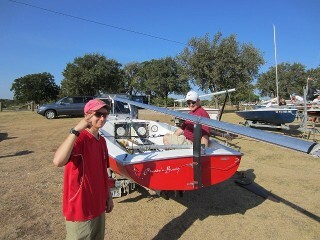 Jerry Thompson and Bob DeRoeck had boat problems on the first day and missed 2 races. They still took 6th place with 69 points. Rounding out the gold fleet in 7th was Jim and Margaret Davis (74.5 pts) on the beautifully refinished Radio Flyer and right behind them was Team Red Fish's Chris Rousseau and Eileen Blute with 90 pts. Silver fleet was dominated by Michael Glanton and Nathan Neighbors (15pts) with more bullets on the last day. Randy Polson and his son Daniel decided to take a swim right before the finish line. That DNF and DNS ended their chance at catching Team Flipper but left them with a very solid 2nd at 30 points. 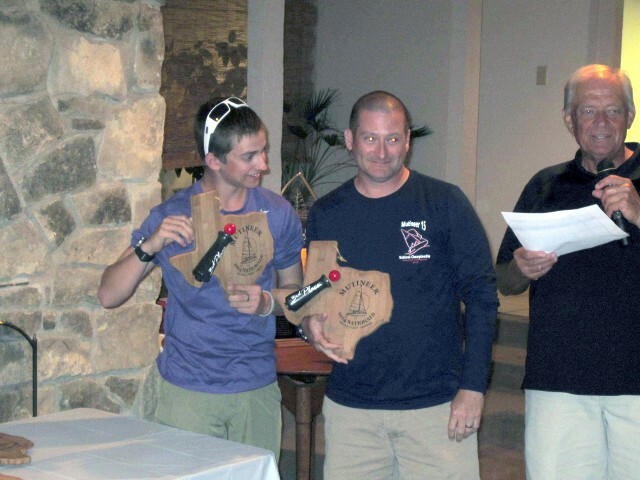 Jason Stevenson and his son Nathan worked their way up in the fleet to capture 3rd with 54 points. 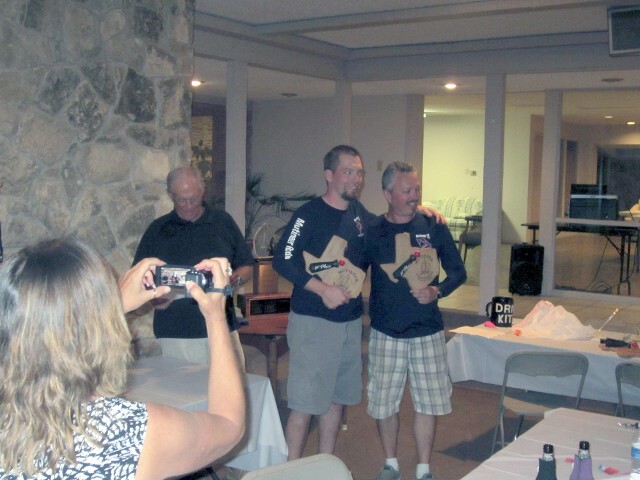 Yarda and Marian Solc (60pts) captured 4th with a tie breaker over 5th place finishers Greg Larson and Chris Mueller. Chad Harris and Lisa Adams hung on to 6th with 71pts. Now on to the awards ceremony, some good BBQ, and then a weekend of laying around recuperating and doing nothing. 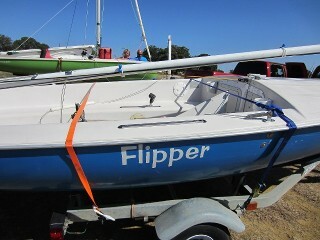 There isn’t too much praise that can be heaped onto Fleet 2 for their spectacular job of hosting this year’s Nationals. The bar has been set very high for future events. Greg, Joan and their whole family were excellent hosts and organizers. Sonny, Randy, and the rest of the Fleet 2 sailors were always nearby lending a helping hand. Fantastic job on the BBQ Rey! Ty did a great job making all of the trophies. Michael Lipari and his team did a wonderful job on the water of getting in 16 races, by far the most we’ve ever done at MNC. 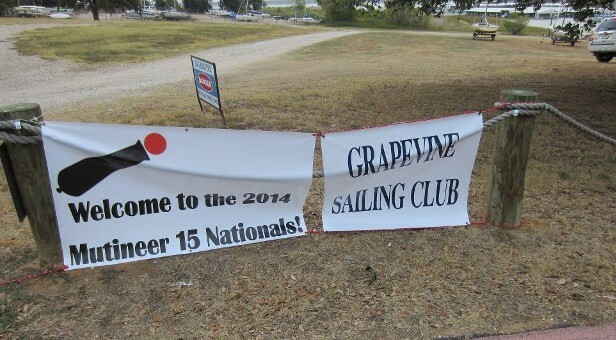 Grapevine Sailing Club was very gracious in letting us use their facilities. Thanks to the photographers who caught so much of the action. I’m sure I missed some folks, and don’t even know of all the effort that went on behind the scenes, so pat yourselves on the back. Excellent job Fleet 2 and GSC! And who paid for the weather? We must all owe them $20. 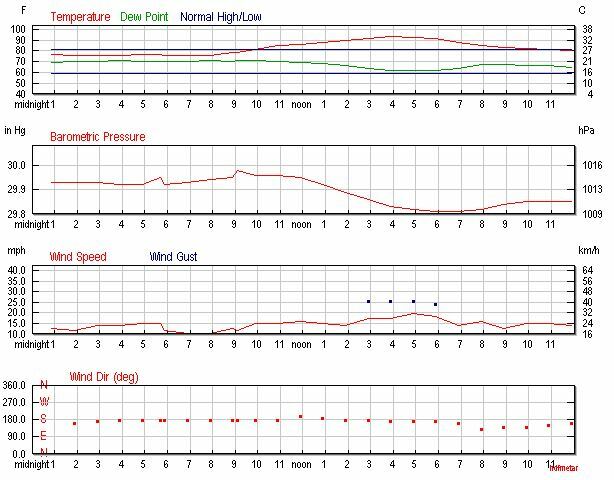 Fantastic winds! Thursday were the best planing reaches I’ve ever been on during a race. Awesome that Ty caught some of it on video to show what the Mutineer is capable of doing. Thank you everyone for a great week, on and off the water.